Does that line sound familiar? 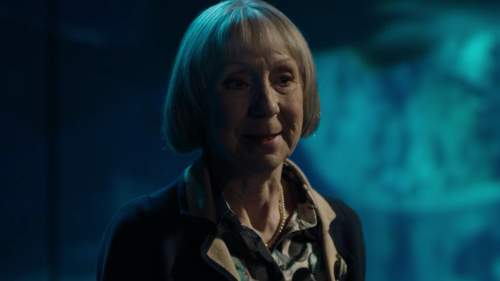 In this ep, Norbury is a person, not a place, and Sherlock asks this of Mrs. Hudson, not John, but it’s the same idea. Our old friend Ms. Robinson of Vanity Fair noticed that Norbury says a line formerly uttered by Moriarty in ‘The Great Game’ (“Why does anybody do anything?”) and thereby speculates that she must be connected to Moriarty in some way. What do you think? 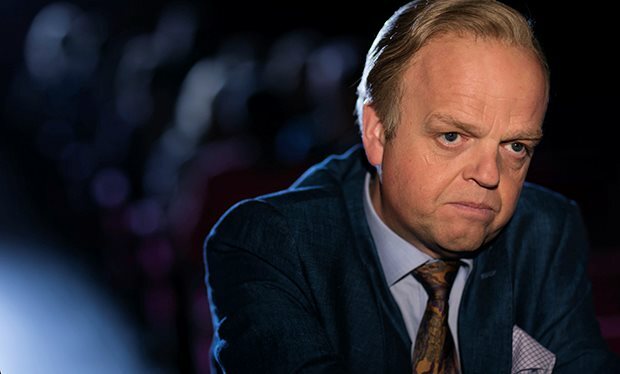 Culverton Smith is the bad guy in canon story “The Dying Detective,” so obviously the next episode being called “The Lying Detective” will be based on it (at least as much as this ep was based on “The Six Napoleons”). But what was he doing on the poster right next to the woman with whom John had an affair (apparently her name is Elizabeth)? There has to be some foreshadowing there–that cannot be a coincidence, nor can it possibly be mere set dressing to set up the world in which Smith plays a big part. Nope, there has to be some connection there. But what? We also get the idea that some little time has passed, judging by the way this whole segment is shot. Later, in John’s breakup text, he says he “enjoyed getting to know you a little.” Why would he need to break up with her like this if it were only texting? He got to know her? Yes, there’s the moral aspect of it, and yes it could have gotten very explicit via texts, but it really does seem like he’s breaking off a real affair to me.